"Today, small business owners need a high-performance computer system to run their operations, but many lack the budget to match their needs. NComputing has innovated ways to cost-effectively deploy those systems with its desktop virtualization platform and affordable, thin-client devices... For the versatility and cost savings it provides SMBs, NComputing has earned our Editor’s Retail Choice Award™ for Affordable Desktop Virtualization Solutions." In India, NComputing continues to dominate 67% of the thin client market. 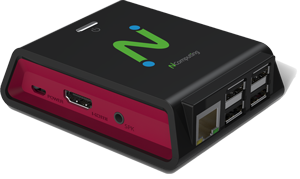 With over 1.5 million seats deployed across the country, more than 50,000 Government schools and 20,000 private educational institutions use NComputing thin clients in their computer labs. EdTech Digest has announced the winners of their annual award program, spotlighting the best and brightest tools, leaders, and trendsetters pushing forward today’s education revolution. NComputing's N-series wins for best virtualization solution. The Network Products Guide Hot Companies and Best Products Awards is a premier information technology awards program that honors the world’s best in performance, products and services, hot technologies, executives, and management teams. In June 2014, NComputing vSpace was awarded Bronze in the “Best IT Software” category. CRN presents its annual list of the virtualization vendors -- established players and the startups – that need to be on the channel's radar. In February NComputing announced oneSpace, technology that unifies and securely delivers applications and files to mobile devices. NComputing vSpace Server 7.1 was recognized as a finalist in the “Best IT Software - Upgraded Version” category by the Network Products Guide Awards, which honors achievements in every facet of the IT industry. NComputing wins the 2013 India Didactics Association (IDA) award for excellence in hardware & equipment in education & training. 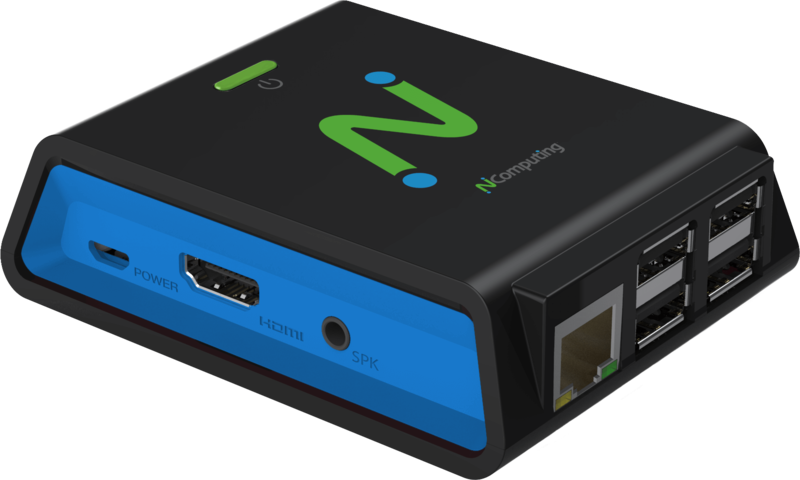 NComputing emerged as the Channel Champion in India for the thin clients category, unseating last years champion Hewlett-Packard. The NComputing N-series Thin Client for Citrix HDX beat IBM and won the Gold in the Virtualization category. NComputing also received an honorable mention for the Hot Companies category. The Hot Companies and Best Product awards were created to honor and generate industry wide recognition of the achievements and positive contributions of organizations and IT professionals worldwide in every area. Honoring those who use information technology to benefit society. Established in 1988, and celebrating its 25th anniversary, The Computerworld Honors Program brings together the men, women, organizations and institutions around the world whose visionary applications of information technology promote positive social, economic and educational change. NComputing named Finalist in this year's Red Herring Top 100 Global. Red Herring 100 Awards are widely recognized as one of the industry’s most prestigious recognitions, with up to 1,400 candidates from each continent competing each year. NComputing named winner for Most Innovative Company of the year in Best in Biz Awards, 2012. Best in Biz Awards is the only independent business awards program judged by members of the press and industry analysts. NComputing wins Bronze Award for Golden Bridge Award Business and Innovation Award for Best Case Studies and Deployments for Sammuel Simmonds Memorial Hospital Deployment. NComputing has been named to the Red Herring Top 100 Americas. The award acknowledges the company’s successful technology innovation, execution strategy and market impact in desktop virtualization. CRN's annual Virtualization 100 is a who's who of virtualization players, spanning every facet of the market from desktop virtualization to virtualization management to storage and server virtualization. The Var India Brand Book voted NComputing as one of the most trusted companies in India. NComputing was presented with an award for best innovative product at the 5th NCN Awards Event where they presented awards to IT vendors in different categories including most innovative products of the year. Tech Awards Circle 2011 Winners, selected by an independent circle of journalists, show Innovation and Leadership in Enterprise, Midrange, SMB, and SOHO Technologies. 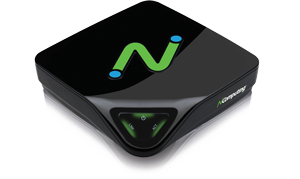 NComputing's L300 access device was chosen as a winner for the SMB Market and is considered the 'best of the best' in the computer and consumer technology industries today. Companies around the world have embraced green technology to drive projects and develop products aimed at boosting energy efficiency, trimming waste, and reducing or eliminating the use or the production of harmful substances. The InfoWorld Green 15 awards recognize the 15 most innovative IT initiatives that fall under this umbrella of sustainability. The government of Andhra Pradesh, India won for its deployment of 40,000 NComputing devices to serve 1.8 million students in 5,000 schools across the state. Frost & Sullivan Best Practices Awards identify exemplary achievements within a multitude of industries and functional disciplines. The analysis on best practices that we conduct identifies companies, products, processes, and executives that have achieved world-class performances. This research is an invaluable source to companies for new ideas to improve strategies and processes, which ultimately drive corporate growth. 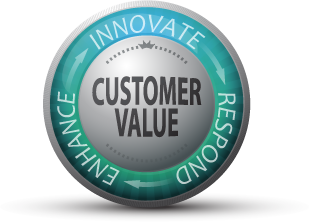 These achievements are recognized with Frost & Sullivan Best Practices Awards. Infomedia's monthly CHIP magazine in India awarded NComputing with the Product of the Month award for its innovative use of shared computing technology and energy efficiency. NComputing Wins Award For Best Product (L Series) At IT Resellers 100. This prestigious event attracts the TOP 100 resellers from ARGENTINA (in terms of purchases, coverage and market share). The Government of Andhra Pradesh, India was awarded the PC Quest Social Impact Award for their implementation of 40,000 NComputing access devices to bring computer access to 5,000 rural government schools in primarily remote areas where power and infrastructure are limited. These awards identify projects that can be easily replicated and at the same time prove efficient and sustainable. NComputing was recognized with the award for Shared Computing Technology: Government Policy Initiative of the Year. The Andhra Pradesh Government envisaged an ambitious plan to bring computer access into 5000 government schools to benefit 1.8 million underprivileged children. The purpose of the project is to enable under privileged school children with computer skills in order to bridge the digital divide. To equip each of these schools with a computer lab, the Government of Andhra Pradesh, chose NComputing. Scholastic Instructor, a leading education publication, provides product reviews to assist educators in making knowledgeable decisions when researching or purchasing new products for their schools. Each product selected for the Teachers' Pick Award is thoroughly reviewed in classrooms across the nation by Instructor's teacher testers. NComputing is a finalist for the BETT award in the Digital Devices category. The BETT Awards define exemplar products. The awards also recognise outstanding education sector products and learning solutions. Judges review the entries based on these criteria, including design, cost-effectiveness, support of higher order skills and effective learning and teaching styles. For the technical evaluation, the focus is on the robustness and resilience of each product, and its accessibility for those with specific needs. Recognizing NComputing's revolutionary technology, the Consumer Electronics Show organization (CES) named the X550 an Innovations 2009 Design and Engineering Award honoree. Each X550 kit delivers a rich multimedia computing experience to an additional five users on one PC. With a second X550 kit, a total of eleven users can all share a single PC. 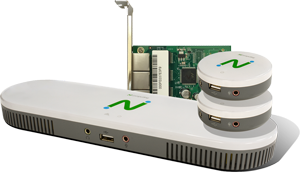 Each X550 kit includes five NComputing XD2 access devices, a PCI plug-in card, and the award-winning vSpace virtualization software. Unlike other desktop virtualization solutions, the patented and highly-efficient X550 delivers rich multimedia and full-screen video. The Silicon Valley Technology Fast 50 annually recognizes the fastest-growing companies in the San Francisco Bay Area. The awards are based on percentage revenue growth over a five-year period (2003 - 2007) and are presented to 150 companies in the following categories: Software and information technology (50 companies), Scientific & medical equipment and biotechnology (50 companies), and Internet, media & entertainment and communication (50 companies). Frost & Sullivan, a leading market research firm, has awarded us the 2008 North American Frost & Sullivan Green Excellence of the Year Award in the thin client computing systems domain. Our products were noted for efficient, eco-friendly computing for a fraction of the cost of traditional PCs." In addition, Frost said, "NComputing has taken a remarkably simple and effective approach to reducing the global impact of computers on the environment." Established in 2001, The Tech Awards recognize 25 Laureates in five universal categories: education, equality, environment, economic development and health. These Laureates have developed new technological solutions or innovative ways to use existing technologies to significantly improve the lives of people around the world. NComputing was recognized with the Accenture Economic Development Award and cited for our solution, which "taps the unused power of a standard PC and redistributes it to multiple users, helping organizations in developing countries save on deployment, maintenance, energy and replacement costs and thereby narrowing the digital divide." "The X300 Access Terminal Kit can help educators cut computing costs by allowing them to share one shared PC with three additional users, or up to seven users with two kits. The kit's PCI card, access terminals, and software harness excess computing capacity. 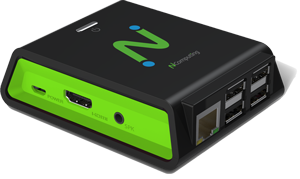 The kit connects users directly to the shared PC via standard cable, includes terminal services software for Windows and Linux and supports standard applications, including multimedia. Each user still has a standard monitor, keyboard, mouse and speakers." NComputing, Inc. was certified as a Gold 5-Star Overall Winner in VARBusinesses' 2008 Partner Program Guide (PPG), a guide that acknowledges the commitment and strength of a vendor's partner programs for its Channel resellers, IT integrators, and technology consultants. Of the hundreds of vendor program entries reviewed for this year's guide, NComputing was one of only ten Gold 5-Star Overall Winners chosen in this 14th annual VARBusinesse Partner Programs Guide survey. NComputing won two of 9 server-based awards. The company was recognized for two applications of its virtual desktop technology. One was for the use of systems at Pollmeier, a sawmill in Germany, where they were installed in an environment where all other computing solutions had failed, including thin clients. The other was for the work with the WTO conference that brought dependable, efficient, and affordable computing access to over 11,000 participants. The Silicon Valley Business Journal named NComputing as a finalist in this category in November of 2007. At a time when computers are responsible for nearly three-quarters of America's toxic waste NComputing's solution is a welcome savior of e-waste, carbon emissions, and money.